Most businesses are aware that today you need to produce content in order to get noticed on the web. Whether the content is videos, blogs, or social media posts, it is essential for a successful business. This is because content helps you get noticed, as well as connect to potential customers. Here are 5 content creation mistakes that businesses can make. Although, “consistency is key” may be an overused saying, that doesn’t mean it isn’t true! 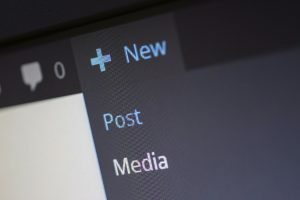 If you’re a business, you can’t post 3 blogs a day for a couple of weeks and then abandon it for a month. It’s much better to have a consistent schedule. For example, a post a day, or a couple posts a week, will do much better for your site’s growth. It also shows that you are committed and dedicated to your site, which is a bonus. So, you want to put out some content. Should you post a video? Blog? Infographic? These are the things you need to think about before creating the content. It’s one of the most frequent content creation mistakes that people make. People respond differently to different mediums — sometimes a picture is better than a post. Not knowing your audience is one of the worst content creation mistakes. First, you need to identify your target audience. This will help you develop your brand. Or, if your brand is already developed, cater to the people who buy from you or use your business. Second, you need to create content that will stick with them. This way, they can read it, like it, and share it with others. Social media is a necessity today. Everyone has a Facebook, or Twitter, or Instagram. All businesses should have them too. If you’re not promoting your content on social media, you are making a giant content creation mistake. So, if you don’t make any of these content creation mistakes, your business and website should run better. Putting out content is integral for an online presence, and the more people respond to it, the better off you’ll be.